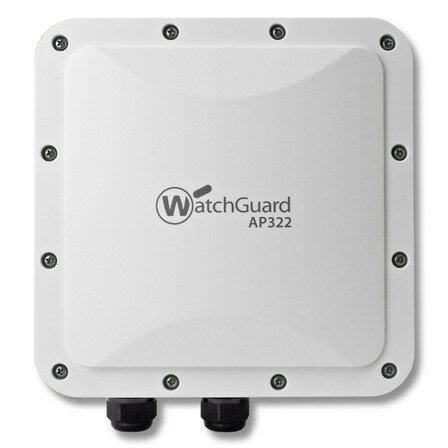 WatchGuard’s AP322 brings secure, cloud-managed Wi-Fi to the outdoors. Its rugged, IP67-rated enclosure protects the wireless access point from the wind, rain, and cold weather, while six integrated omnidirectional antennas operate with three spatial streams per radio (3x3 MIMO) to deliver broad, fast, and reliable Wi-Fi coverage. The AP322 is ideal for stadiums and sports fields, schools/universities, malls, parks, hotel pool areas and open air cafes, shipping docks, warehouses, and other harsh environments or outdoor locations. You can manage AP322 access points with either a Firebox, via the Gateway Wireless Controller with lightweight feature set, or with WatchGuard’s Wi-Fi Cloud. And with the Wi-Fi Cloud you get an expanded set of features including strong WIPS security, marketing tools, and location-based analytics for optimal business insights. Incorporating the latest 802.11ac standards, you’ll have speeds of up to 1.3 Gbps over the air, without sacrificing security. When managed by the Wi-Fi Cloud, WatchGuard APs come standard with RF optimization, spectrum monitoring, and trouble-shooting built in. Using patented Marker Packet technology, WatchGuard’s cloud-managed WIPS (Wireless Intrusion Prevention System) defends your airspace from unauthorised devices, manin-the-middle and denial-of-service attacks, rogue APs and more. As a dedicated WIPS sensor, the AP322 can be added to any existing Wi-Fi network for a powerful layer of patented security features simply unavailable in most AP devices. WatchGuard’s secure cloud-managed APs deliver the most comprehensive set of features for the price - including marketing tools for customizable user engagement and locationbased analytics for enhanced business insights. With the WatchGuard Wi-Fi Cloud, IT pros can enjoy an entirely controller-less Wi-Fi management experience including setup, configuration, monitoring, troubleshooting, and improving corporate and guest Wi-Fi access, without worrying about the limitations of legacy controller infrastructure. Wi-Fi Cloud environments easily scale from one to an unlimited number of APs across multiple locations. APs can be grouped in many ways including location, building, floor, and customer to maintain consistent policies. 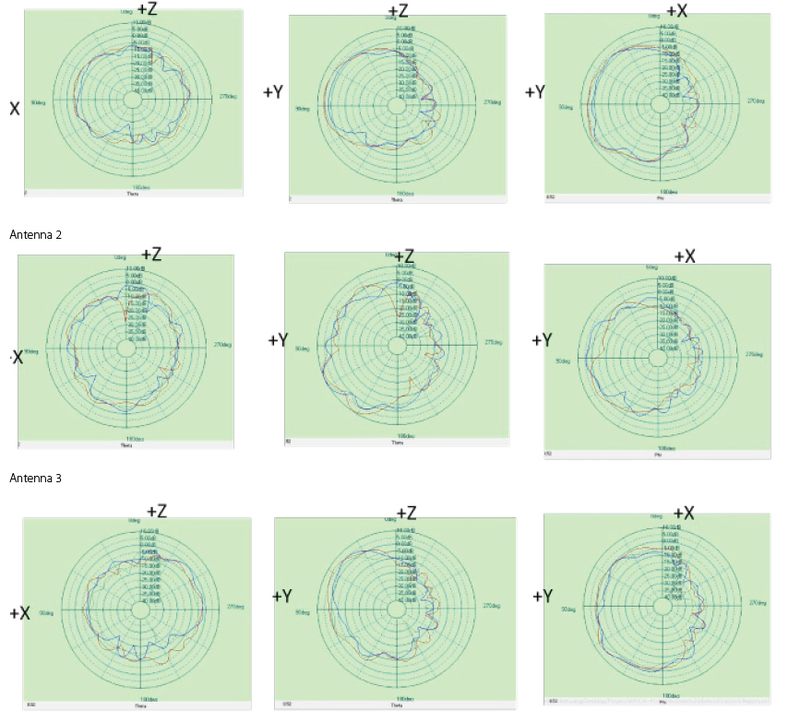 Support for up to 8 individual SSIDs per radio allows for maximum flexibility in network design. The IP67 sealed enclosure protects APs in harsh, wet outdoor environments so they can be mounted with direct exposure to the elements - no overhang or shelter required. AP322 devices can be converted to a dedicated security sensor with a single click for maximum wireless protection. Manage with Wi-Fi Cloud for expanded features including strong WIPS security, marketing tools and location-based analytics for enhanced business insights. Patented Marker Packet technology is used to accurately detect authorised, unauthorized, and external access points on any network with the fewest false positives in the industry. Supports self-healing and bridge-mode wireless meshing for optimal installation scenarios. Offering basic Wi-Fi access doesn't give you a competitive advantage, it offers you a chance to compete. With benefits ranging from increased productivity to improved customer satisfaction, implementing a wireless network for your employees and guests has become the table stakes of doing business. But Wi-Fi also opens your business to significant security risks, and can be complicated to deploy and manage, not to mention expensive. WatchGuard Wi-Fi Cloud solutions, true game-changers in today's market, are engineered to provide a safe, protected airspace for your Wi-Fi environments, while eliminating administrative headaches and greatly reducing costs. With expansive engagement tools and visibility into business analytics, they deliver the competitive advantage your business needs to succeed. Our cloud-managed access points have built-in WIPS to help ensure you have the protection you need. Using patented Marker Packet technology, WatchGuard WIPS defends your airspace from unauthorised devices, man-in-the-middle and denial-of-service attacks, rogue APs and more - and with close to zero false positives. For even greater protection, deploy our APs with a WatchGuard Firebox to extend the Firebox's best-in-class UTM defenses, like application control and zero day malware protection, to your WLAN. WatchGuard offers two management scenarios to meet the needs of SMBs and distributed enterprises. You can manage any of our access points with either a Firebox via the Gateway Wireless Controller with lightweight feature set, or with WatchGuard’s Wi-Fi Cloud. And with the Wi-Fi Cloud you get an expanded set of features including strong WIPS security, marketing tools, and location-based analytics for optimal business insights. And for ultimate peace of mind, rely on a Firebox UTM-protected network with WatchGuard Wi-Fi Cloud-managed APs to realize the full marketing and security potential of a cloud-managed access point solution. Our cloud-managed access points have built-in Wireless Intrusion Prevention System (WIPS) to help ensure you have the protection you need. Using patented Marker Packet technology, WatchGuard WIPS defends your airspace 24/7 from unauthorised devices, man-in-the-middle and denial-of-service attacks, rogue APs and more - and with close to zero false positives. With WatchGuard cloud-managed APs running WIPS, IT pros can deliver the high performance wireless connectivity their users demand, without compromising on security. WatchGuard grows with you. Wi-Fi Cloud environment can take your business from 1 to an unlimited number of access points across multiple locations, with no infrastructure, eliminating administrative headaches and greatly reducing cost. APs can be grouped in many ways including location, building, floor, and customer to maintain consistent policies. The GO mobile web experience allows you to manage your wireless networks using any mobile device. 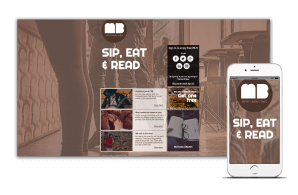 Managing customer engagement is entirely integrated with standard features enabling simple setup of customized splash pages and personalized customer promotions. WatchGuard Wi-Fi Cloud is built from the ground up on RESTful APIs to handle even the largest WLAN networks that, until now, would need to be served by on-premises WLAN controller solutions. Turn your Wi-Fi environment into a potent source of revenue and customer loyalty by leveraging the combined benefits of secure cloud-managed Wi-Fi, captive portal technology, and social media interaction. Use splash pages like the one at right to grab the attention of today's mobile and connected consumers, engage them with videos, polls and surveys, and then take advantage of built-in analytics tools to better understand their habits and preferences. Gain actionable insights into customers with social login analytics. In combination with the social Wi-Fi features, data can be used to analyze demographic information including gender, age, and customer buying tendencies. 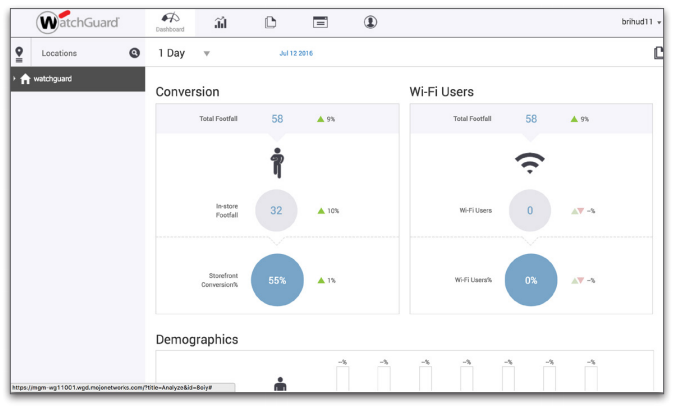 Wi-Fi device location, customer dwell time, footfall, and new vs. repeat users can be captured with zone-based analytics. Dashboards and reports allow administrators to quickly view analytics at all levels, from the highest to the most granular view, across time segments and location groups - and there are no hidden third party costs. 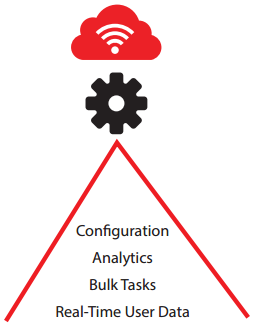 WatchGuard offers three deployment scenarios to meet the needs of SMBs and distributed enterprises. Add an AP120 or AP320 to an existing Firebox UTM-protected network to extend that protection to the WLAN, while managing the device with the Firebox's built-in gateway wireless controller. For full Engage and Analyze features, WIPS protection, scalable management and so much more in a stand-alone deployment, choose our Wi-Fi Cloud option. And for ultimate peace of mind, rely on a Firebox UTM-protected network with WatchGuard Wi-Fi Cloudmanaged APs to realize the full marketing and security potential of a cloud-managed access point solution. No matter what your wireless battleground is - remote offices, guest Wi-Fi, corporate access, public hotspots, outdoor environments - WatchGuard has a range of access points to fit your business needs. WatchGuard’s Wi-Fi packages allow you to quickly and easily find the right set of features your business needs today…and tomorrow. SSID configuration with VLAN support, band steering, smart steering, fast roaming, user bandwidth control, Wi-Fi traffic dashboard. Radio Resource Management, Hotspot 2.0, enhanced client roaming, nested folders for configuration before deployment, integration with 3rd party WLAN controllers. 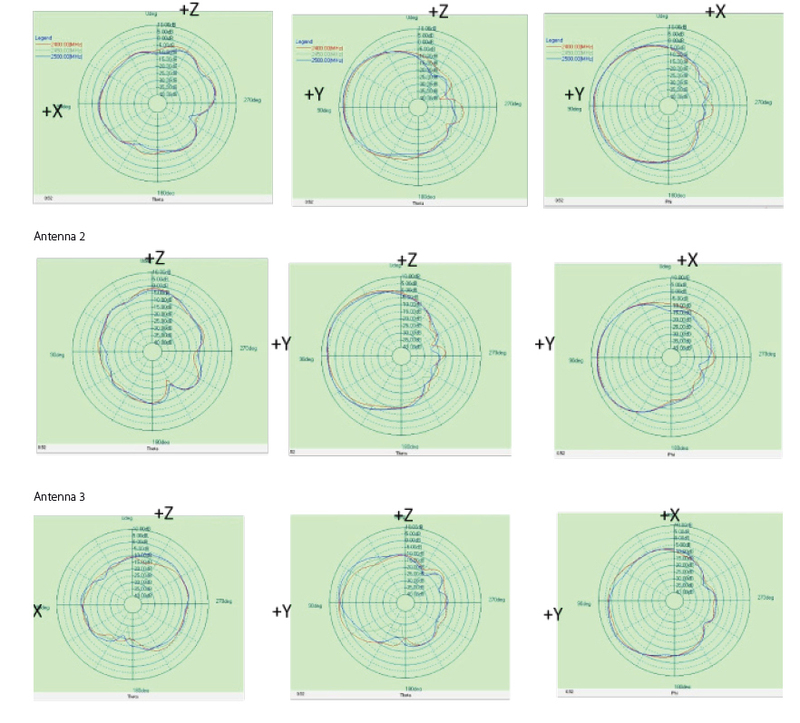 Pinpoint meaningful network problems and application issues by seeing when an anomaly occurs above baseline thresholds and remotely troubleshoot. A patented WIPS technology defends your business from the six known Wi-Fi threat categories, enabling a Trusted Wireless Environment. 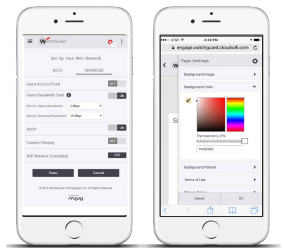 Quickly and easily set-up your WLAN network from any mobile device. Splash pages, social media integrations, surveys, coupons, videos, and so much more. Leverage metrics like footfall, dwell time, and conversion to drive business decisions and create customizable reports. *Requires Firebox with active support contract. **20 access points recommended for each Firebox model. For the T-15 Firebox model 4 access points are recommended. Each WatchGuard access point has the flexibility to operate as both an access point and a dedicated WIPS security sensor. This means that when deployed as dedicated WIPS sensors, the devices work with your existing access points (Cisco, Aruba, Ruckus, Ubiquiti, etc) and add enterprise-grade wireless security protection to your network. In this case, instead of delivering secure Wi-Fi traffic to users, we deliver unprecedented WIPS security protection that is 100% dedicated to scanning the air and protecting your business from wireless threats. Designed from the ground up for businesses of all types and sizes, access points from WatchGuard deliver the best combination of security, performance, and manageability on the market. When managed by the WatchGuard Wi-Fi Cloud, these access points deliver fast, reliable wireless access while providing our customers with industry-leading wireless security, powerful guest engagement, and business-driven analytic tools. Choose a cloud-ready access point that meets your business needs - whether indoors or outdoors - without sacrificing security. You can manage all of WatchGuard’s access points with either a Firebox via the Gateway Wireless Controller or with the Wi-Fi Cloud. And, with Wi-Fi Cloud you get an expanded set of features including strong WIPS security, social network enabled captive portals, marketing tools, and location-based analytics for optimal business insights. Download the WatchGuard AP322 Datasheet (PDF). 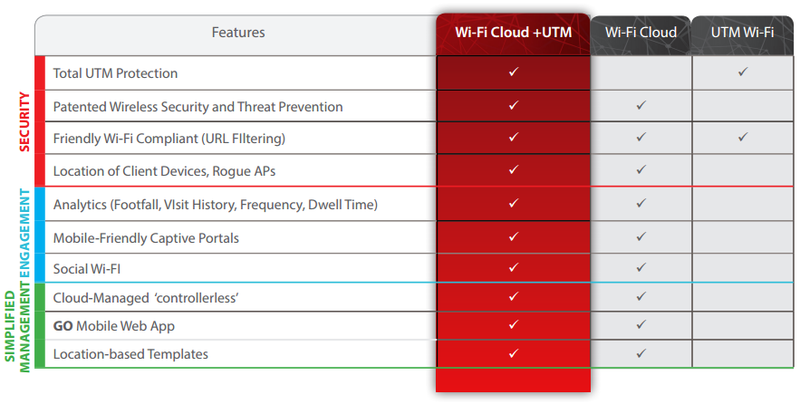 Download the WatchGuard Secure Cloud-Managed WiFi Access Point Datasheet (PDF).